This October I took some time off from my parental leave to attend the PubCon online marketing conference in Las Vegas. I don’t drink or gamble so my favourite Vegas activity is attending the great shows they have to offer throughout the city. On my last trip to Vegas I saw the Cirque show “KA” and fell in love with what the Cirque has to offer. I have always been mesmerized by the YouTube videos of Criss Angel’s illusions and I loved the idea of seeing him live in the Cirque du Soleil production “Believe”. I lucked out since the show was playing at the Luxor, where I was staying during my trip. I stayed at the Luxor the last time I was in Vegas also and I love the Egyptian theme of the building. 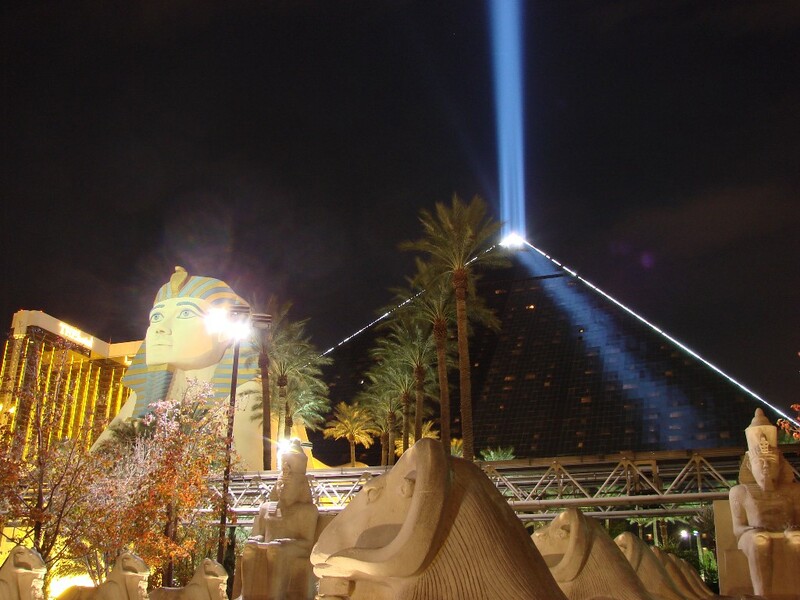 Every night I was taken in by the powerful light streaming from the top of the Pyramid that houses the Luxor shows, the Titanic Exhibition and Casino. When it was time for the show, it was easy to navigate from my hotel room to the performance stadium. The theater had a dark and eerie feel which, to be honest, spiked my anticipation. I could tell other audience members were excited to be there as well. The show itself was very good. I had read a number of reviews claiming that he is the best magician in Las Vegas, and he did not disappoint. The strip promotes a lot of fun and quirky magicians to see; after all, it is one of the trademarks of Las Vegas. The program brochure claims that he performs over 40 illusions, and I have to say he delivered on every one. This show is much more than a magic show. It is fun, it is engaging, and it is even dangerous at times. I applaud Criss Angel on the right combination of lights, music, and fire along with the entertainment. I was particularly engaged at how he keeps eye contact with the audience. It is as if he’s personally welcoming you to the show. Although I had a great time at the production, there were a couple of downsides. One is the comedic breaks he takes between the acts where his goofy assistant does some lame stand-up and simple tricks. It’s not quite as well executed as the comedic breaks in the other Cirque shows I have seen. At the same time, I understand all performers need a break during their shows. The other is his self-promotion. Do not get me wrong; I feel every performer should have the opportunity to promote their work, but I think he does it a little too often. He also spent several minutes talking about how he is rated the best magician in Vegas, how he has the most YouTube downloads, and how he has the most time on TV etc. All those quick facts could have been put into the program brochure instead of interrupting the flow and fun of the show. I do not want to give away too much of his performance, but his introductory mind reading trick on people that were clearly chosen at random was stunning and had me at the edge of my seat for the rest of the show. If you like watching variety shows like “America’s Got Talent” or have never been to a magic show this is a must attend show while you are in Vegas.